It is that time of year! It is time to roll out my ongoing Holiday Gift Guide 2018! This blog series will run throughout the Holiday Season and it will highlight my favorite Holiday Gifts and Gift Sets for the Season in the world of beauty. 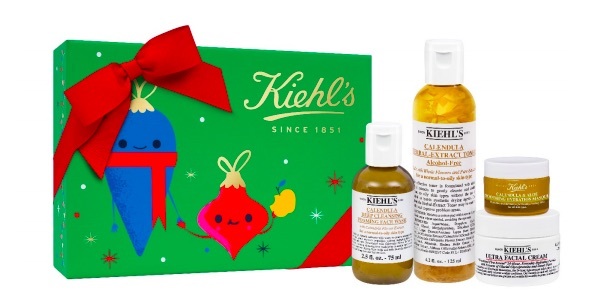 Every year, Kiehl's launches a Limited Edition Charitable Holiday Collection. So, I am super excited to share these with you. Don't you just feel better when you purchase a beautiful luxury gift that gives back? That is exactly what you get with the Kiehl's gift sets. 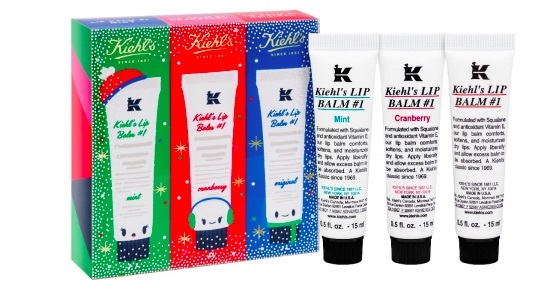 This year the Holiday collection will help Kiehl’s donate $100,000 to Feeding America. The collaboration will help to provide 1,000,000+ meals to families in need this holiday season! Amazing!!! This years Holiday Sets are a collaboration with renowned artist Andrew Bannecker. From Kiehl's: Andrew Bannecker is an American artist best known for his use of vivid colors, hand-crafted drips and textures. From bubbly characters to sophisticated landscapes, his work is ever evolving and manages to imbue scenes with emotive power. Andrew has collaborated with tastemakers in industries including chocolate, homewares, music and fashion. 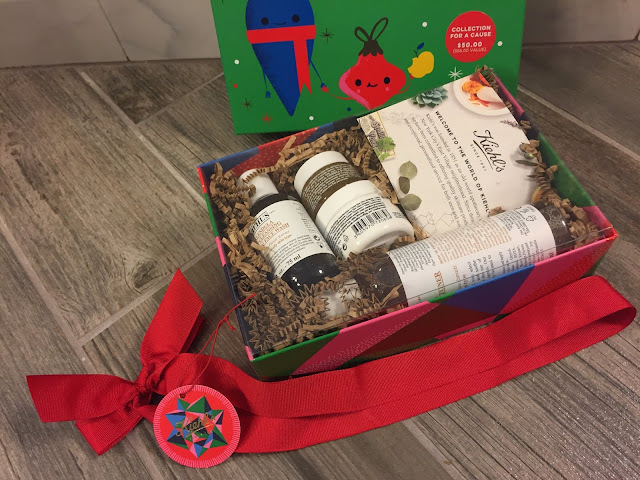 Continuing its holiday philanthropic tradition, Kiehl’s pledges 100% of its net profits (amazing!!!) of this collection, up to $100,000, to Feeding America®, the nation’s largest domestic hunger-relief organization. What amazing sets! I got to try out two of these sets. I am going to gift them this year and am so excited to do so. 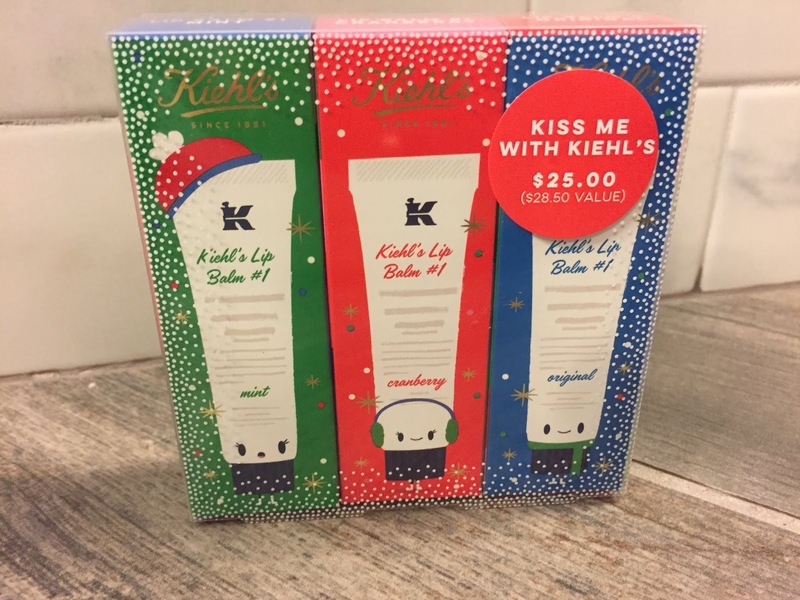 The Kiss Me with Kiehl's lip balm collection is a fantastic stocking stuffer. I am going to put this in my husband's stocking this year as he is a huge Kiehl's fan and exclusively uses their lip balms. 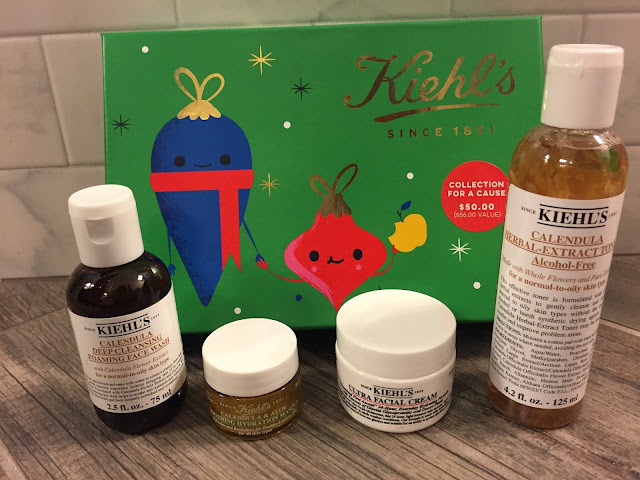 The Limited Edition Collection for a Cause is a fantastic skincare collection with many of Kiehl's Best Sellers. This is a perfect gift for any Kiehl's skincare fan or someone just wanting to try out the best of Kiehl's. The packaging of these sets is beautiful and very festive indeed!